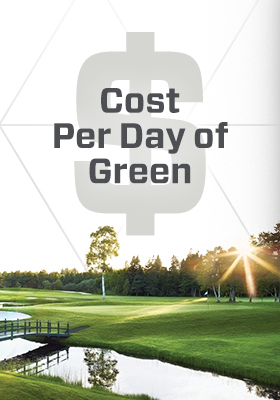 Koch Turf & Ornamental, a brand supported by Koch Agronomic Services, LLC, is a global leader in providing enhanced efficiency fertilizers (EEFs) that optimize nutrient uptake and minimize nutrient loss. There’s a new way to judge the success of your fertilizer. Find out how it can improve your course’s bottom line. 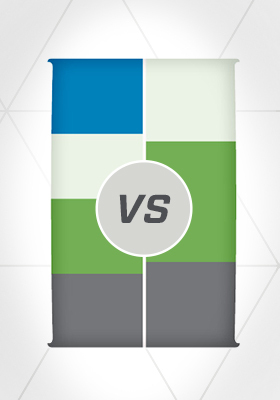 Plug your fertilizer's nutrient analysis into our calculator and compare what happens when you add more nutrition to your blend. Choose formulations with the longevities, SGN options and performance characteristics needed to satisfy a growing demand for more effective and sustainable ways to fertilize. These enhanced efficiency fertilizer (EEF) products can also counter rising operating costs and tighter budgets, and at the same time help the environment by reducing the potential for nutrient leaching, denitrification, runoff and volatilization. Discover how superintendents are achieving business advantages by utilizing advanced EEF technologies. See how EEFs are helping to positively impact the profit potential of lawn and landscape professionals. Find out how grounds and sports turf managers are using EEFs to save time and money, as well as support sustainability initiatives. Learn why EEFs can be a more effective and economical way to gain business success in a very competitive marketplace. Koch Turf & Ornamental has a portfolio of enhanced efficiency fertilizers (EEFs) with the technologies, longevities and performance characteristics to meet your specific nutritional program needs.